Toss something in our hat? Coffee for us. Karma for you! Select some options to filter results. 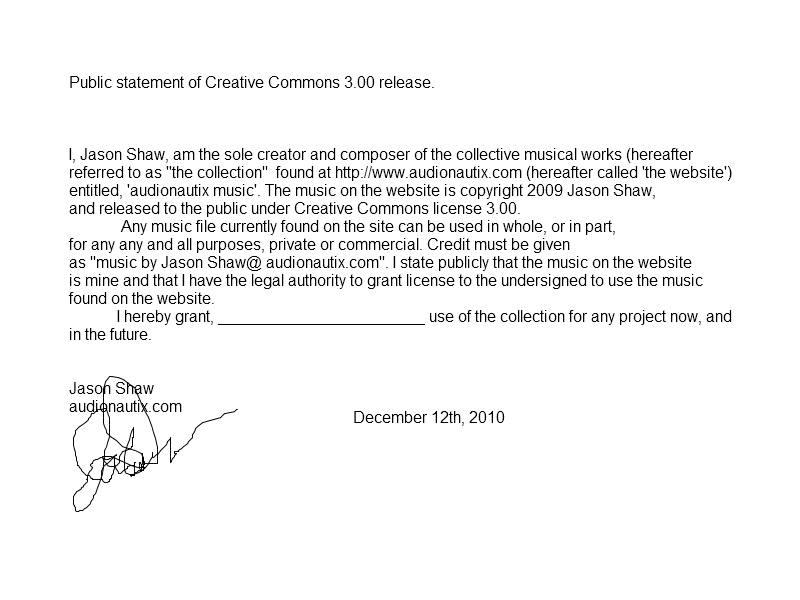 * All music in this online collection created by Jason Shaw. Released under Creative Commons License 3.0. You are free to use the music (even for commercial purposes) as long as you provide a link to this website from yours OR credit us with, "music by audionautix.com". Must be part some other created works. No further permission is required. If you need a signed release form, click link below. We use third-party advertising companies to serve ads when you visit our website. These companies may use information (not including your name, address, email address, or telephone number) about your visits to this and other websites in order to provide advertisements about goods and services of interest to you. If you would like more information about this practice and to know your choices about not having this information used by these companies visit this link.